Priest Rapids Dam is located on the Columbia River, 24 miles south of Vantage, Washington. This several-months-long investigation was spurred by concern over a leaky spillway in the dam. 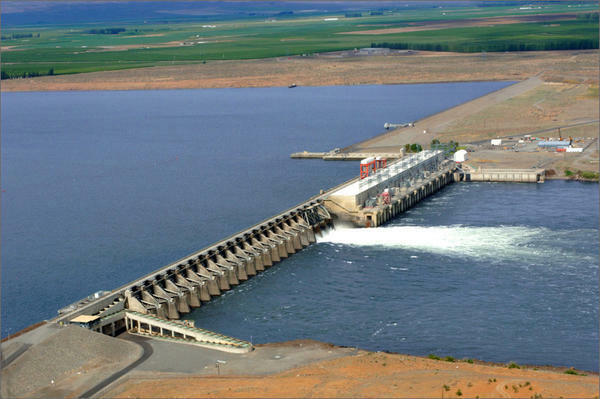 There were also recent problems with the nearby Wanapum Dam—also on the Columbia River. Now, crews at Priest Rapids are installing 37 new instruments within the spillway. The devices will measure vertical movements, zero in on the trouble spot and also monitor the structure’s foundation. That work could take until fall. After everything is set, Grant PUD says it will ask the Federal Energy Regulatory Commission to allow it to raise the water in the reservoir pool behind the dam again. The water has been lowered several feet since the spring when dam officials declared a non-failure emergency. Engineering staff will also continue to look at what caused and led to part of the dam moving. Grant PUD officials declared a non-failure emergency at Priest Rapids Dam back in March. Officials say the incident has never presented a safety risk to the public and th dam continues to generate electricity as usual.